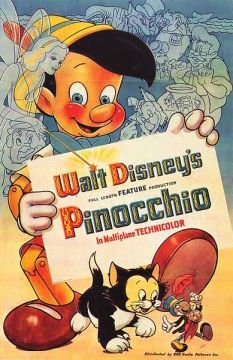 The 1940 film Pinocchio wasn’t released for home video sale until 1985, when it first sold 600,000 copies. In the early 1980s, as the home video market began to emerge, the Walt Disney Company was reluctant to release its classic animated movies for home use. The video market began primarily as a rental business, and later moved to sales. In 1983, the home video market was small, with only about 10 percent of U.S. homes having video cassette recorders (VCRs). Disney at the time was involved in limited rentals, and to a lesser extent, some sales of old cartoons and action films. But in 1985, none of the Disney classics such as Snow White (1938), Pinocchio (1940), Cinderella (1950) or Sleeping Beauty (1959) had been released for home video use — rental or sales. Disney kept these classics locked up in its vault, regarding them as a kind of Disney gold, only to be “marketed” through controlled release to movie theaters. It was Disney policy and economic strategy that these films should not be available for home rental or purchase. That philosophy would soon change, however, as Disney began to see — and became a primary force in creating — the huge and ever-expanding home video market. But first, consider the classic film Pinocchio as Disney struggled internally with the changing market in 1985. Pinocchio had been released to theaters in 1945, 1954, 1962, 1971, 1978, and 1984. The strategy ingrained in the company was to release their classics to theaters every 7-to-10 years or so, and then back to the vault. That was about the right time interval according to Disney; time enough for a new generation to see the film for the first time. As the company then calculated, this limited exposure would be repeated for each new generation while preserving the film’s economic value. Releasing its classic films for sale on home video, went the company’s thinking at the time, would mean losing control of major assets by permanently moving them into the homes of millions of Americans. So Disney rationed its classic animated films — only to theaters. This logic continued to reign at Disney until 1985 when an internal debate began over whether to release Pinocchio that summer on home video and how to price it. The continuing internal argument against home video release was that Disney would lose the value of the movie by selling it. A somewhat odd middle course to marketing the film was then taken: Disney would price the movie for sale at $79.95, a price so high that management figured people would rent it at a cheaper price rather than buying it. “The initial fear of diluting the value of our classics… began to pale beside the enormous profits we could earn…”+ –Michael Eisner, CEO Video stores, however, wouldn’t buy the film at that price. Disney then revised its plan in August 1985, pricing the Pinocchio VHS video for sale at $29.95. It sold 600,000 copies with only a modest marketing effort, suggesting to Disney there was a lot more market here than they first thought. 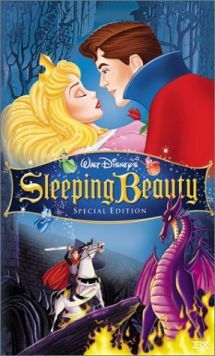 In 1986, Disney released the VHS edition of 'Sleeping Beauty' (1959). During the internal discussions, estimated revenues were offered for movie box-office returns vs. home video-sales. Releasing Sleeping Beauty four more times for theater-only showings over the next 28 years — i.e., once every seven years — would generate a total box office of $125 million. But a single home-video release of Sleeping Beauty in the near term would generate sales of at least $100 million. That quicker return, while a lower number, proved the more persuasive strategy since inflation would ravage the longer-term, theater-only box office returns. And the money Disney earned from its video sales in the near term could be invested on other projects to produce further value for the company. The video sales strategy was the clear winner, and Disney began to push harder on this front with the Sleeping Beauty release. The 1988 VHS of this 1950 Disney classic generated nearly $100 million in home video sales. 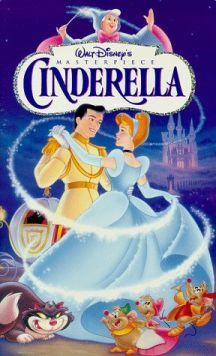 In 1988, the next Disney classic to come up for video release was the 1950 hit Cinderella. During the previous year in 1987, over the Christmas holidays, Cinderella had its latest scheduled movie theater release and had earned a respectable $34 million. But by this time Disney was also developing an improved strategy for marketing its home videos. It was now going beyond just the video stores. Disney began to link up with big mass-merchant retailers who had not previously sold home videos.In the late 1980s, Disney began to link up with big mass-merchant retailers like Target and Wal-Mart who had not previously sold home videos. Their first partner was Target but they soon joined with other big stores, including Caldor and Wal-Mart. By mid-year 1988, sales of the Cinderella video hit nearly 6 million copies, generating revenues of about $100 million, or nearly three times its previous years’ box office. Disney further refined its video marketing network in 1989, eliminating middlemen and taking over distribution. Overhead costs came down, joint marketing campaigns were launched with large retailers, and computer-based accounting kept track of it all. The Jungle Book — a 1967 Disney film based on the Rudyard Kipling story, and the last film that Walt Disney himself had worked on before his death — was released on home video in 1991. It sold almost 9 million copies. Next up was 101 Dalmatians, a 1961 Disney film. Released on VHS for home vide sale in 1992, it sold more than 14 million copies. But even in the early 1990s there was still a reservoir of the old protective Disney at work, especially when it came to the classics Snow White and Fantasia, which Walt Disney himself had produced. Special care and restoration were taken with each of these films. The age of Fantasia left its color lacking, but with computerized technology, perfect color was restored, making the home video version better than the original. In its first release for the home market in 1991, Fantasia sold nearly 15 million copies. Snow White, Walt Disney’s first classic animated film released originally in 1937, was considered for home video release in the early 1990s. In this case, however, some external forces helped expedite the decision, as in Italy, the film was soon to move into the public domain, which meant it would be fair game for pirates and widespread copying. 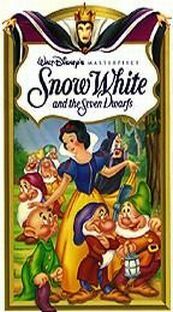 Snow White was released on VHS in 1994, and would break all records for Disney’s animated classics, selling nearly 50 million copies worldwide. The enormous market Disney discovered in selling older films, under- scored the “huge potential upside” in stepping up production of new ones. – Michael Eisner It was the last of the early Disney animated films released for home video. Disney was also able to extend the copyright for Snow White. The success of Disney’s animated classics in the home video market, and the apparent good prospects for feature animation in the movie market generally, helped to bolster Disney’s resolve in the late 1980s to make more animated films.Michael Eisner put it this way: “The enormous [home] video market for our animated films prompted a second epiphany, namely, the huge potential upside to be realized in stepping up production of new animated films.” In the 1970s and early 1980s, the film-making process at Disney had become slow, turning out unremarkable products. And the films produced no longer seemed to have that Walt Disney quality. But after Michael Eisner arrived as CEO in the mid-1980s, things began to change. 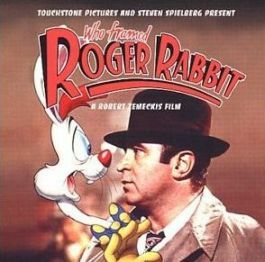 CD cover, 'Roger Rabbit' soundtrack, 2002. And Disney kept to that schedule over the next decade, producing a string of successful films, many of which were major hits: The Little Mermaid (1989), The Rescuers Down Under (1990), Beauty and the Beast (1991), Aladdin (1992), The Lion King (1994), Pocahontas (1995), The Hunchback of Notre Dame (1996), Hercules (1997), Mulan (1998), and Tarzan (1999). In the process, Disney touched off something of renaissance in animated film-making through the 1990s, taken to new levels with computer-based production techniques, as well as new marketing joint ventures and merchandising tie-ins. Disney’s feature animation department during that time underwent a significant expansion, rising from about 300 artists in 1988 to 2,400 by 1999. Also by this time, many of the Disney classics that had been released in earlier VHS format were now being released as DVDs and a new round of sales. Today, of course, Disney’s animated film business is huge, both at the box office and in DVD sales. Many of its animated films have become the equivalent of stand-alone businesses, each with related merchandising, music sales, and in the case of the Lion King, a Broadway production. In 2006, Disney’s power in animated film making was made even more awesome with the $7.4 billion acquisition of Pixar, the computer-based film production company responsible for such animated blockbusters as Toy Story (1995, $354 million), Finding Nemo (2003, $864 million), and Cars (2006, $460 million). Yet in the brief space of about 15 years, dating from the mid-1980s, the entire business of animated film making and marketing was transformed, with Disney playing an important role in that process, in part, by taking a new look at its old assets. See also at this website “Disney Dollars,” a story about Disney’s emerging business during the Great Depression of the 1930s and the rising importance of entertainment in the U.S. economy. Additional stories related to Film & Hollywood topics can also be found at that category page. Michael Eisner, Work in Progress, New York: Random House, 1998, pp. 186-191. Jerry Beck, The Animated Movie Guide, Chicago: Reader Press, 2005. “The Walt Disney Co.,”Wikipedia.org. See also profiles on individual Disney movies.